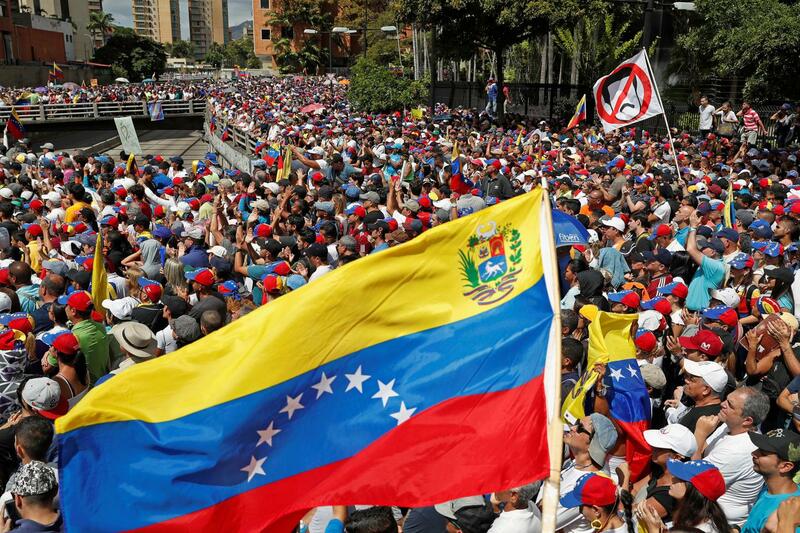 “No Nation Building” ==> “Let’s Build Democracies!” Rinse. Repeat. From George W. Bush to Barack Obama to Donald Trump, we have seen candidate after candidate attest that we should not wade into the affairs of other countries only to argue as president why we must and then do it whether the argument compels or not. Read more“No Nation Building” ==> “Let’s Build Democracies!” Rinse. Repeat. This article first appeared at www.yourpropagandareport.com. The prospect of Giuliani being Secretary of State is, horrifically, not dead. I’m no fan of Romney–he is obviously a play-actor who comes off like the gentlest guy in the world but is fully immersed in the Deep State, from his family’s decades-long involvement in politics to his clearly staged ranting about Trump, this guy is likely a wolf in sheep’s clothing. Giuliani, on the other hand, is a wolf in wolf’s clothing, and that’s the absolute worst thing you could have in the country’s top diplomat. Would you want this guy as the last barrier between the United States and war? An article in The Wall Street Journal today presents the problem with Giuliani’s candidacy as having potential for cronyism and conflicts of interest–no doubt a very real risk, as we’ve seen before–but the potential for World War III on this guy’s watch is a far greater risk. After leaving the mayoral office in 2001, Mr. Giuliani founded Giuliani Partners, a management-consulting and security firm that advises companies and foreign governments on policing, security planning and counterterrorism…. Mr. Giuliani has been an outspoken proponent of regime change in Iran and scrapping the nuclear accord reached with Tehran last year. He has regularly appeared at events supporting an Iranian opposition group, called the Mujahedin-e Khalq, which the U.S. State Department designated as a terrorist organization from 1997 through 2012. His speaking fees for those events ranged from $25,000 to $40,000…. Mr. Giuliani said those concerns were unfounded and unfair. He said “90%” of the work undertaken by the firm is done on behalf of companies, not governments. “I don’t even know how to peddle influence,” he said. 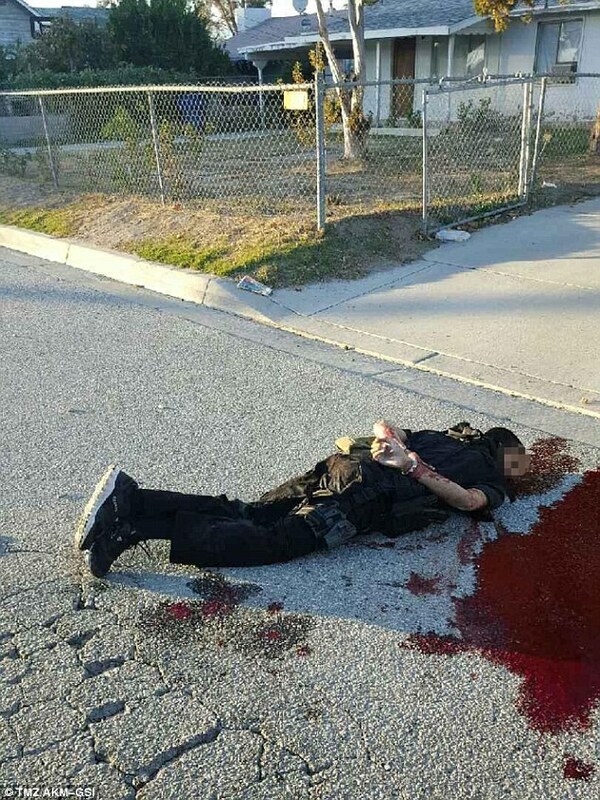 Crazy picture of dead San Bernardino suspect w/ raw wrists under handcuffs–CAUTION, EXTREMELY GRAPHIC! EXTREMELY!! A few weeks ago, I read this article and was surprised at the focus on France and the accusations against Sarkozy and Hollande with regard to Syria. The suggestion in this article, that the former and current presidents of France might be acting in their own interests and contrary to those of the French citizenry (shocking! ), could shed some light on what is happening in France now. In anticipation of the first GOP debate next week (a mere 15 months before the election, with an uncurated field of 16! ), I’m discussing my ranking of the candidates on tomorrow’s show…I’m hoping against hope that at least ONE of them will harken back to what Murray Rothbard called The Old Right and acknowledge the folly and danger of intervening in purely foreign conflicts, or even one who acknowledges the principles of a just war – that is, to prevent imminent attack if not simply repel an attack a la an Iron Dome. This is the one I find fascinating…Here Obama says his father served in World War II. If you want to really dive down the rabbit hole, read this gripping article about Obama’s CIA connections: Obama, All in the Company, which shows a picture that appears to be Obama’s grandfather, Stanley Armour Dunham, with Barack Obama Sr. before Obama Sr. met Stanley Ann Dunham supposedly by chance in a Russian language class in Hawaii. I also noticed how strange it is that Obama looks more like his grandfather than he does like his mother. I’m not going to read too much into that, though–it could easily happen in nature, but the whole story taken together raises some questions. See the photos below the video. The Propaganda Report podcast with Monica Perez and Brad Binkley is a deep dive into current events focusing how mainstream media is used to shape emotions and opinions. Subscribe to the Propaganda Report on iTunes and bookmark it at thepropreport.com.